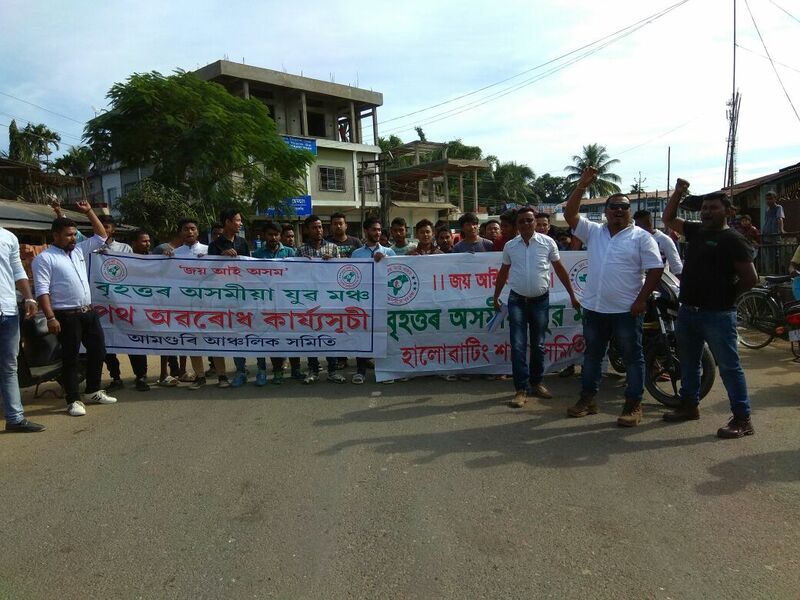 Brihattar Asomiya Yuva Mancha (BAYM) on Friday blocked the NH-61 at Haluwation for two hours from 10.00 AM in Sivasagar district demanding the government to make the Naga framework agreement public. Members of Amguri Anchalik Samiti and Haluwating Sakha Samiti submitted memorandum to the Assam chief minister through Amguri circle officer. The organizations also demanded to stop movement of overloaded trucks carrying coals from Nagaland.